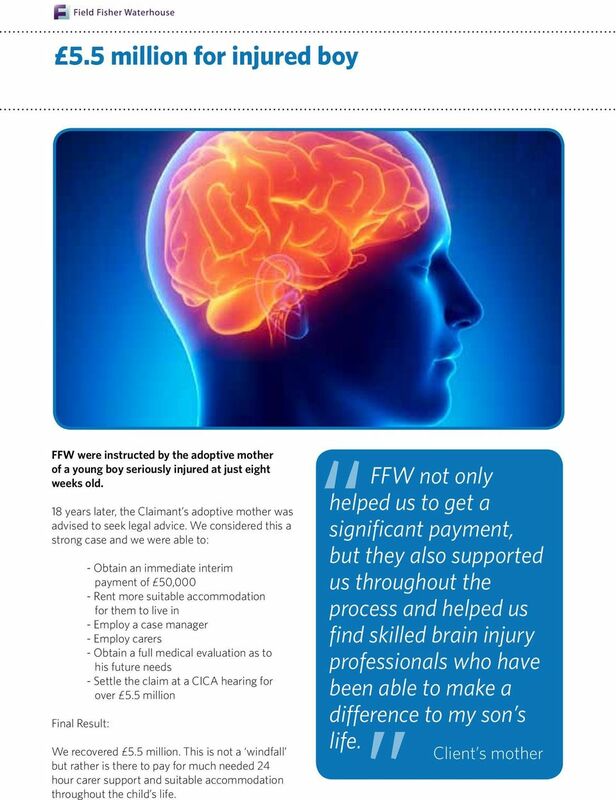 Download "Brain injury lawyers. 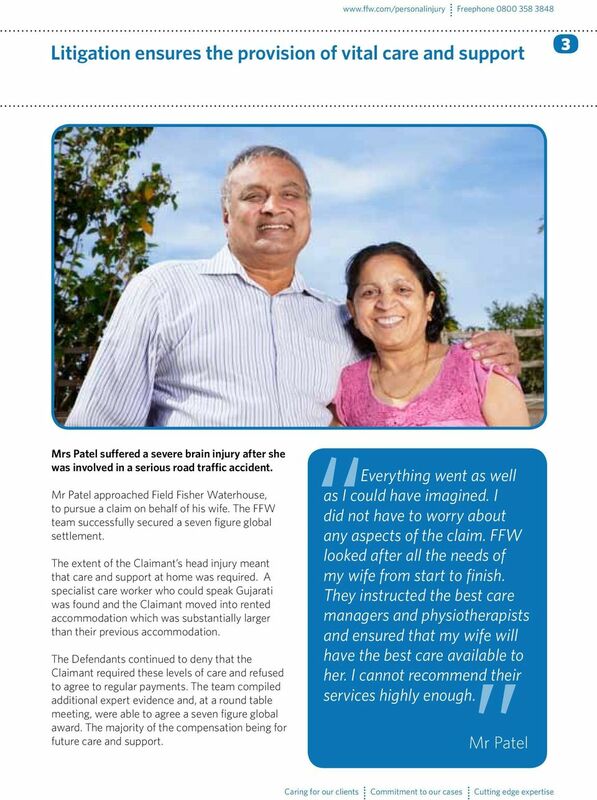 Field Fisher Waterhouse provides a first-class service to clients. 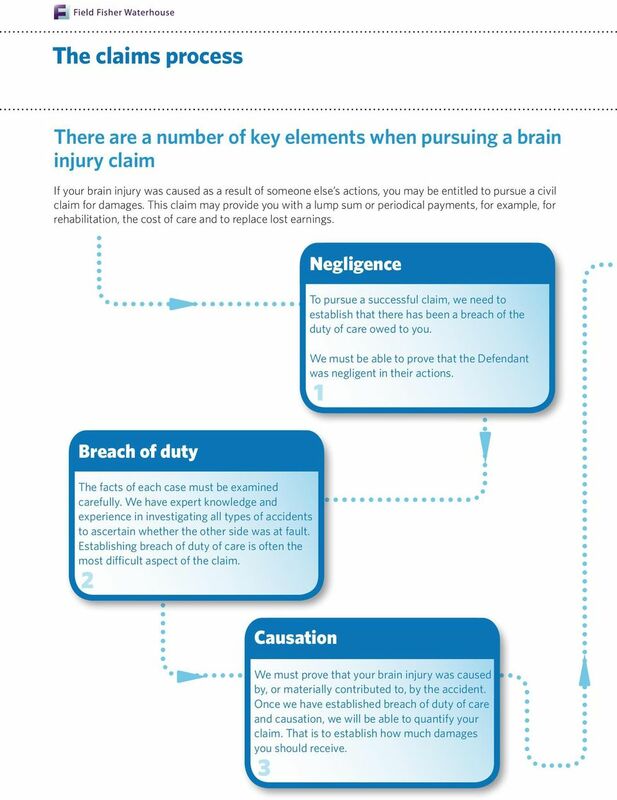 The Legal 500"
Spinal Injury A client s guide to spinal injury Contents 3. 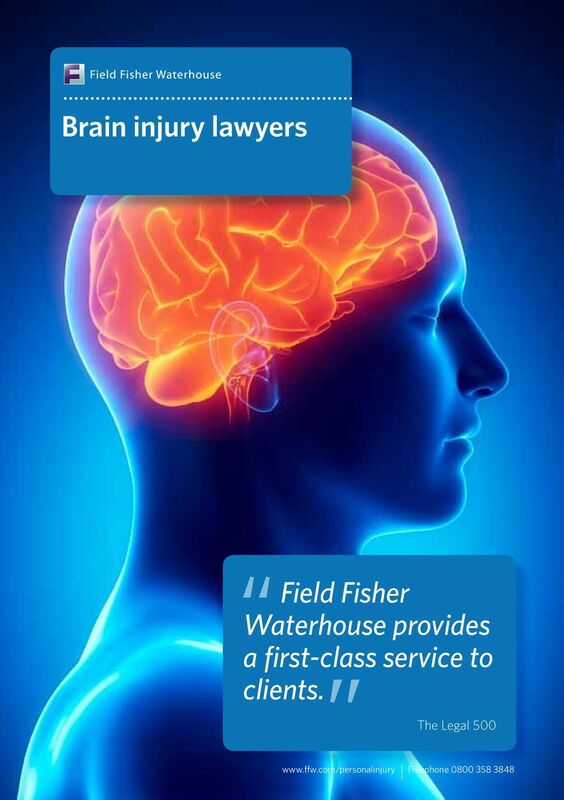 The Personal Injury Department at Field Fisher Waterhouse LLP 4. 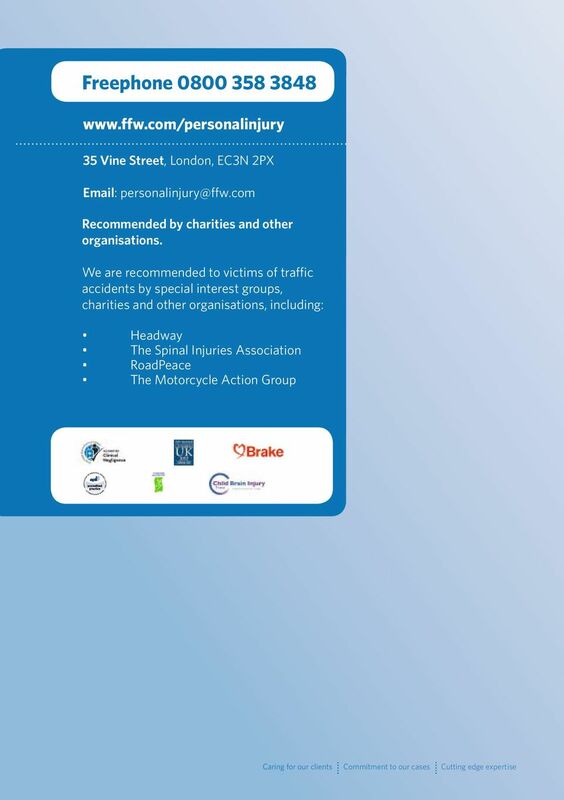 Spinal injury - the facts 5. Can I claim compensation 6. 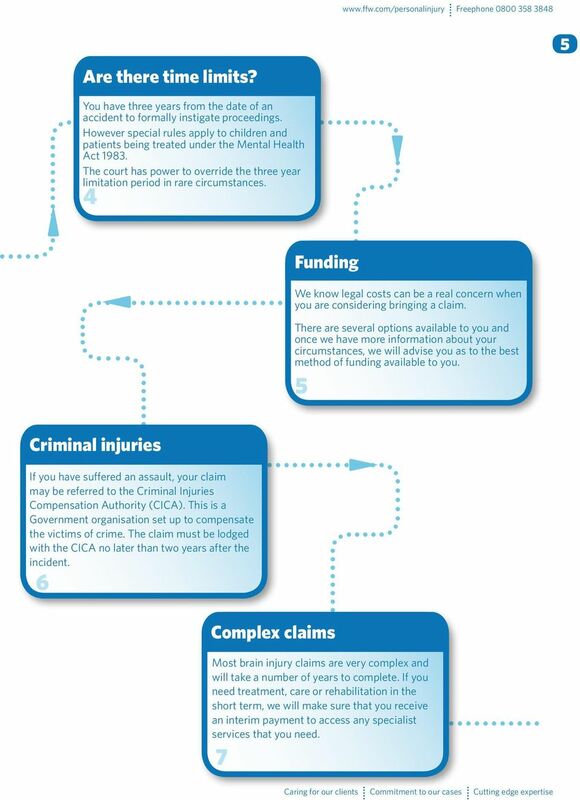 Funding the case 7.
personal injury serious injuries getting compensation Have you suffered a serious injury? Are you entitled to compensation? 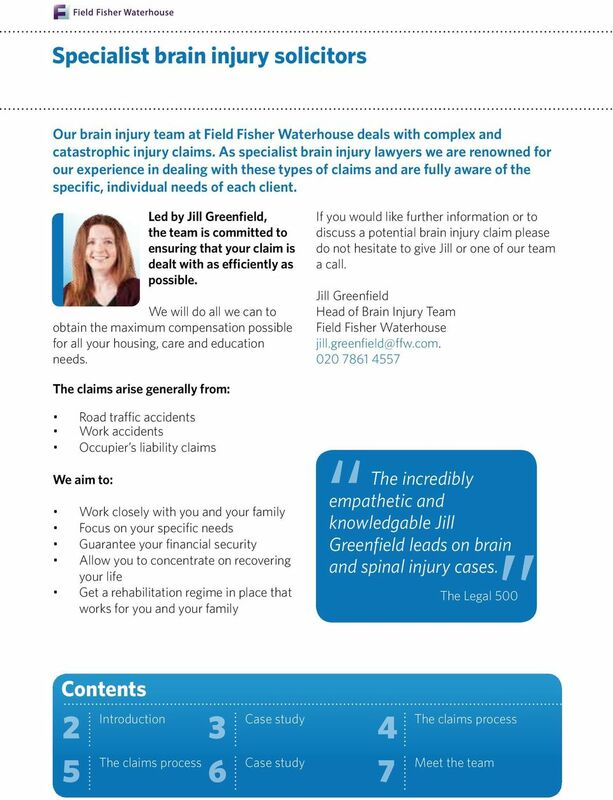 Asbestos Disease Claims A client s guide Spring 2007 Contents 2. Essential elements for a successful claim 3. What we will do 3. Funding the case 3. Preliminary investigations 4. What happens next? 4. Legal Support Service North West. Support for life after childhood brain and other serious injuries. www.childbraininjurytrust.org. 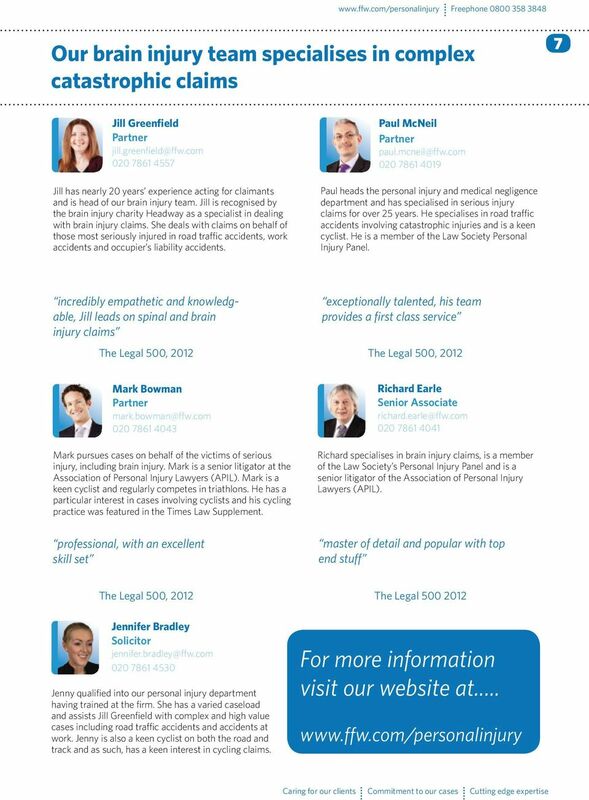 Legal Support Service East England. Support for life after childhood brain and other serious injuries. www.childbraininjurytrust.org. Legal Support Service Midlands. Support for life after childhood brain and other serious injuries. www.childbraininjurytrust.org.